Finally I decided to try out Windows 8 Consumer Preview yesterday. I skipped Windows 8 Developer Preview earlier so wanted to try CP for the sake of getting familiarize with Windows 8 and Metro interface. I encountered a few glitches while making it up and running so though of writing this post just in case somebody else is also facing the same problems. 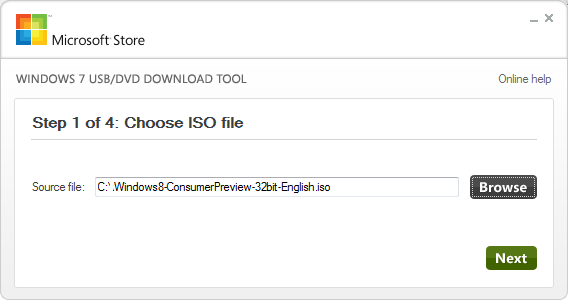 You can download Windows 8 CP in two forms - a setup executable and an ISO image. In any case you can go here or here and download the required file. I opted for an ISO image because I wanted to know the exact download size in advance and it was not clear for the other options. The 32 bit ISO image download was around 2.5 GB. It is important to remember that simply burning this ISO image on a DVD is not sufficient because though you will get all the Windows 8 installation files the DVD won't be bootable. This will create problem later when you wish to install Windows 8 in a virtualization software. To burn a bootable Windows 8 DVD (or USB) from the downloaded ISO file you can use USB / DVD Download tool provided by Microsoft Store. You can download and install the tool from here. The following screen shot shows how the tool looks like. 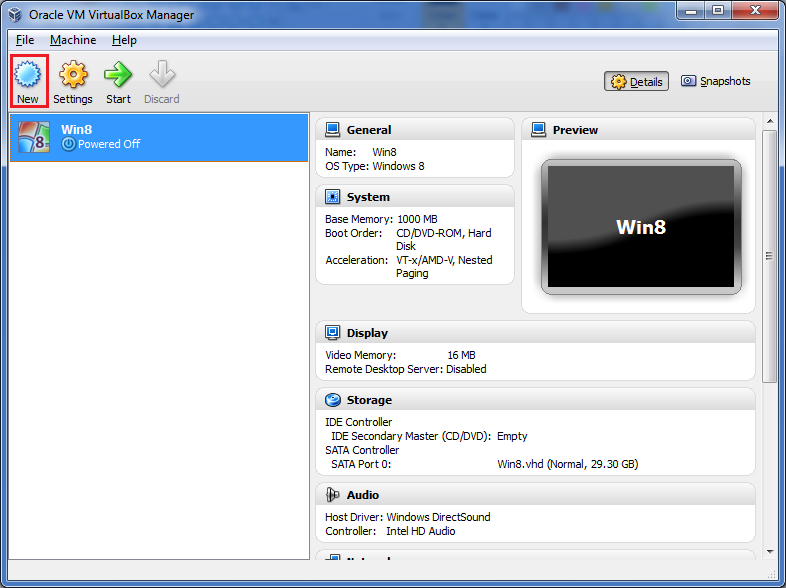 Note that though the tool says "Windows 7" it works for Windows 8 too. I used a DVD to burn the ISO image file but you can go for a 4 GB USB stick also. In either case the end result is a bootable Windows 8 installation media. That means you are left with only a few choices as far as virtualization software is concerned. I decided to go for VirtualBox since it is free. You can download the latest version of VirtualBox here. Note that there is also an alternative to using third party virtualization software. 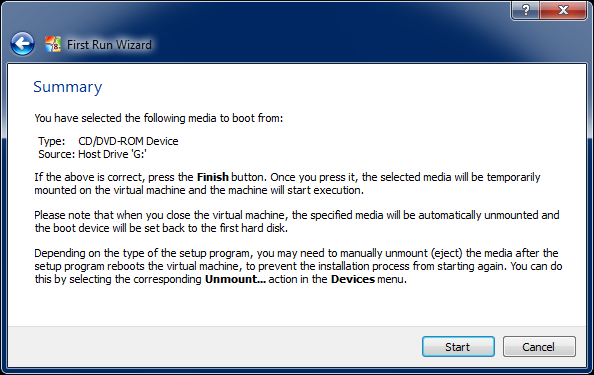 You can boot from a Virtual Hard Disk in Windows 7. That means like a dual boot system you will be presented with boot options when you start windows. Scott Hanselman has written a brilliant post that explains how this can be done. In my case, however, I decided to use VirtualBox because I don't just try the Beta software I also write about it. That means I need ten other programs (Word, Paint, Expression Web etc. etc.) open simultaneously. This would have become difficult if I boot from a VHD. So, running Windows 8 in some virtualization software was necessary for me. 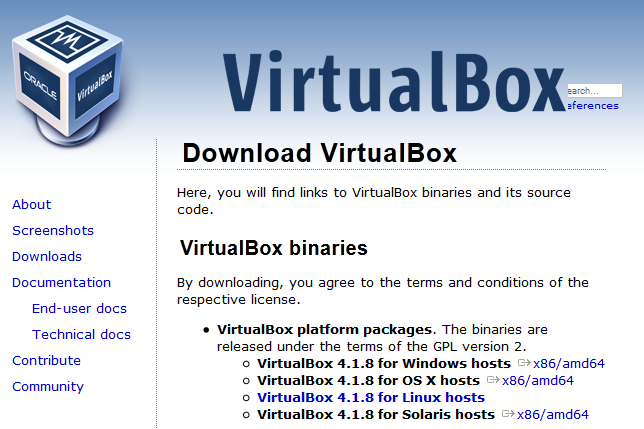 Once you download and install Virtual Box on your machine you are ready to create a new Virtual Machine. Open Virtual Box and click on the New toolbar icon. Though you can go for a dynamic disk, I always prefer to create fixed size disks and I created a 30 GB virtual disk. 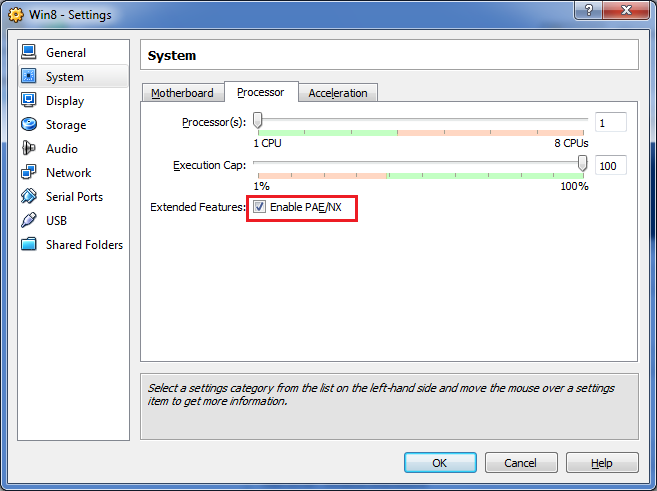 Here make sure that "Enable PAE / NX" checkbox is checked. By default it is unchecked so you must check it manually. 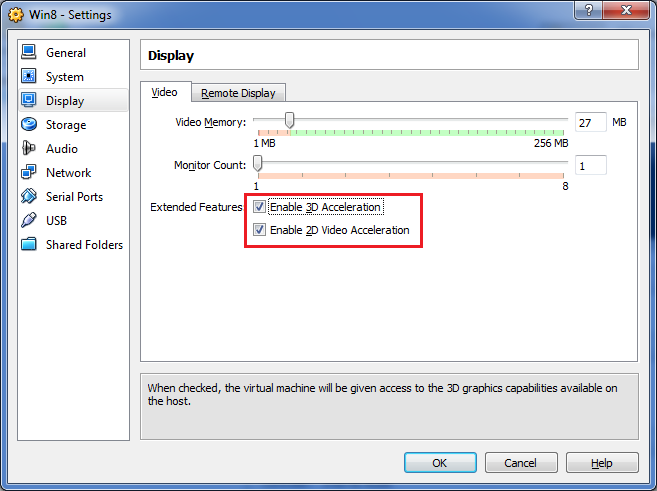 Next, go to Display option and check the "Enable 3D Acceleration" and "Enable 2D Acceleration" checkboxes. Keep an eye on the bottom of the dialog for any warning or error messages related to memory values or settings. If you don't set these configuration options, you may end up getting 0xc0000260 error code. 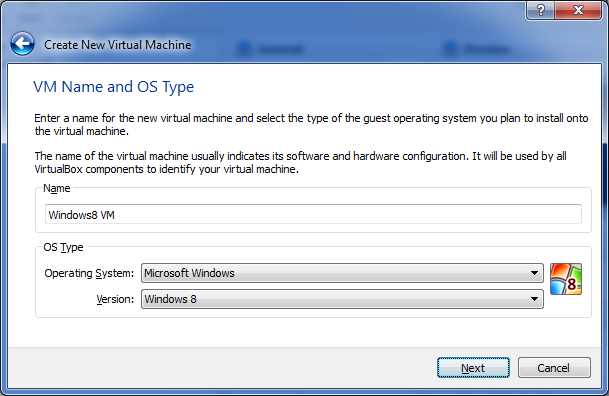 Now you are ready to install Windows 8 CP on the newly created Virtual Machine. Now, the final part. Insert the Windows 8 bootable DVD (or USB) that you created earlier in the drive and start the newly created Virtual Machine. Since this is your first run, Virtual Box will ask you the boot location. Select according to your setup and click on Start. That's it! Windows 8 installation process should start and should complete smoothly there after.